1993 And a Miracle Comes to New Zealand! Early on a warm summer morning in 1993 farmer George MacIntosh stepped out the front door of his farm near Taieri Mouth, Dunedin. Hearing a cry he thought was a kid goat he followed the sound and found something unique. 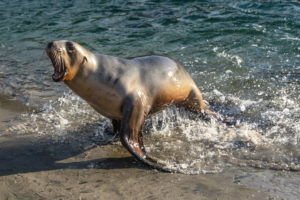 It was a sea lion mother nursing a pup! George was amazed and phoned the Department of Conservation. 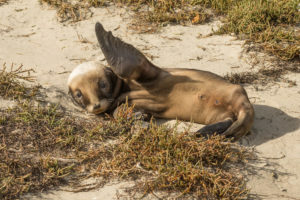 After a site visit DOC Rangers soon confirmed it was indeed a female New Zealand sea lion, and the pup was quite likely the first one to be born on the mainland in over 150 years. 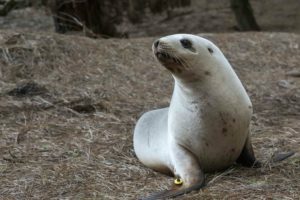 Mum, as this sea lion became known, had been born and tagged in the Auckland Islands but had travelled 600 km to the mainland to have her pup. 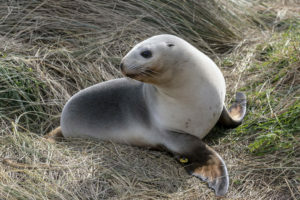 She went on to give birth to 11 pups in the Dunedin area, re-establishing a breeding population on the mainland. Last seen in 2010 aged 24, she was a local icon and a living legend. 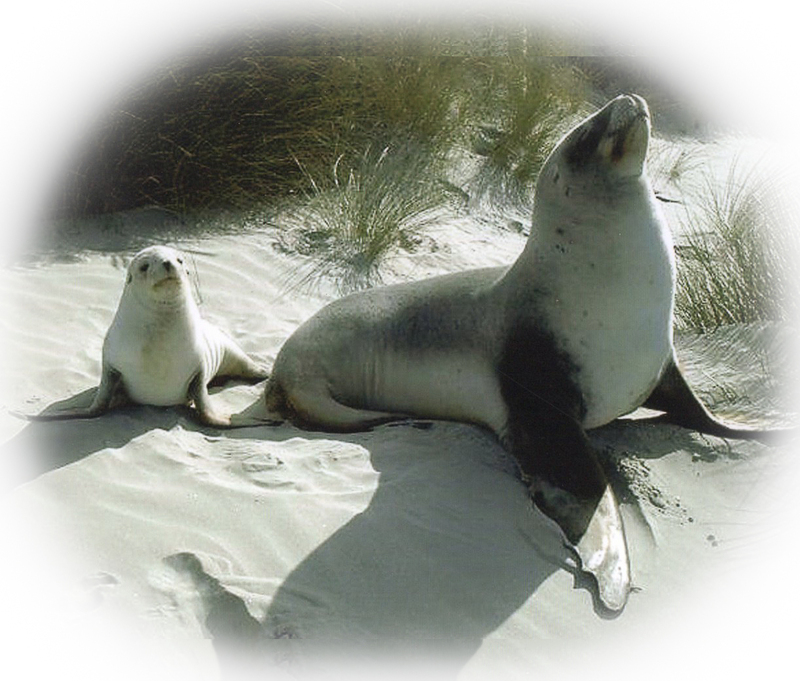 Although Mum herself is no longer with us you have a very good chance of seeing one of Mum’s sons, daughters, grandpups or great grandpups along the Otago coastline. Mum’s legacy continues to this day. 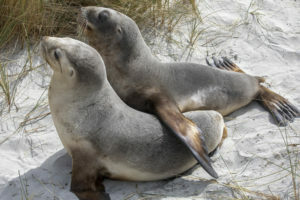 The mainland population remains small but is growing with somewhere between 10 and 20 pups born here each year. You can see some of Mum’s 2018 decendants on the right. A native treasure has returned!